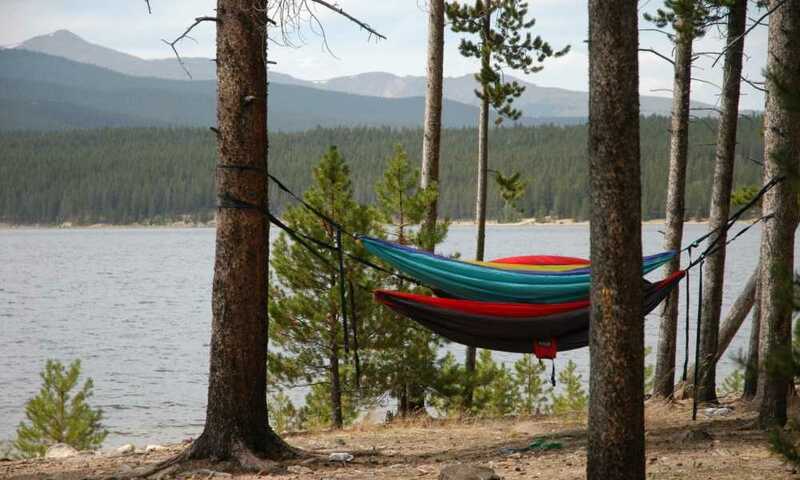 One of the most fun and enjoyable ways to take a vacation is to go camping with your family, or a group of friends. Once you have agreed on where you are going, you next need to consider the tent or tents you are going to use. One of the top options is for everyone to stay in a family camping tent. These are spacious, convenient and offer a degree of home comforts. Our review will explain everything you need to know about five of the best family camping tents. 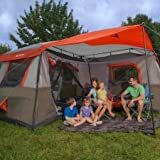 This family camping tent can sleep up to 9 people and is ideal if you do not like complicated setups, as it can be erected in about a minute or so. Whether you are camping with lots of friends or a large family, every one of them can be accommodated in this family tent. It can sleep up to 10 people thanks to its 14 feet by 10 feet floor size. If there are fewer people in the tent it is possible to fit two queen-size air mattresses inside to make sleeping even more comfortable. Setting the tent up is very easy, and it can be erected in about a minute. 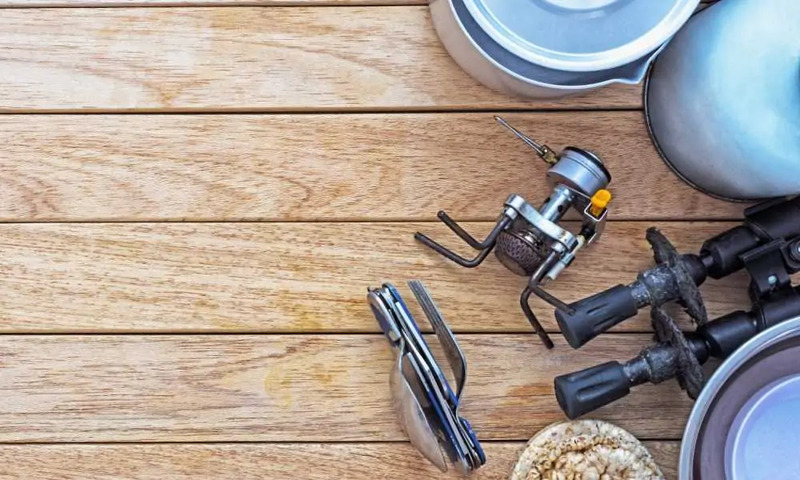 The frame is already assembled for you so there’s no need for you to worry about connecting tent poles together. Also note, that dis-assembling the tent, when you are going home, is just as simple a process. The tent has adjustable ground vents so that air can circulate, and the tent is kept as cool as possible. 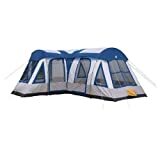 Its materials and construction are also designed to block any water or moisture from entering the tent. For privacy, the tent can be separated into two rooms using the divider, and to keep the inside tidy there are storage pockets on the walls. This family camping tent has a dome structure and is ideal for family camping, especially when you are on a site which provides you with an electricity supply. 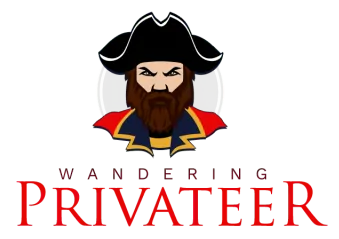 In the intro, we mentioned electricity and the reason is that not every camping trip is going to be out in the wilderness. Many family camping vacations will be on sites where you have many home comforts such as running water and electricity. This tent has an electrical access point which allows you to use electrical items such as laptops and lamps inside your tent. 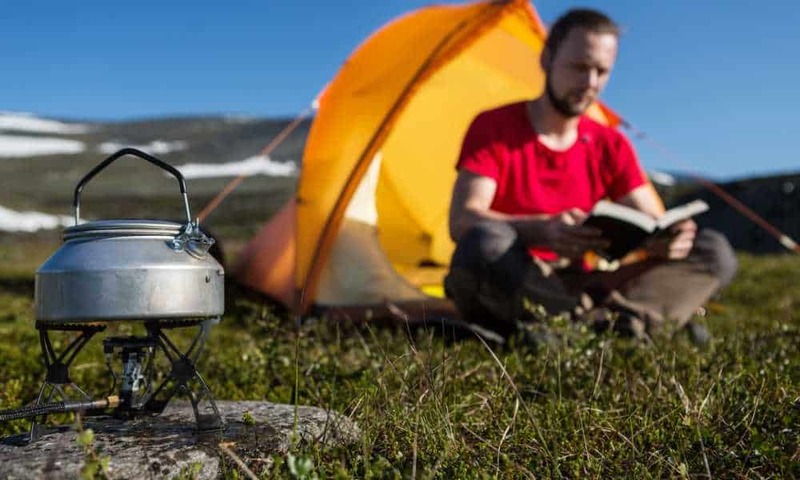 Even on family camping sites, there is no guarantee the weather will be fine, so if it takes a turn for the worse you’ll want to know your tent can withstand it. Rest easy because there are several features which help it do so. The first is the strong frame which is engineered to cope with strong winds and gales. The seams of the tent are inverted to give protection against water ingress if it is raining, and even the zipper cover is water resistant. Finally, we come to the flooring which is also waterproof and thus resists any moisture in the ground underneath your tent. The tent can sleep up to 8 people and can be very easily set up within 60 seconds by simply unfolding it, extending the poles, and securing it to the ground. This Ozark trail tent is so big it could accommodate two families, or if there are fewer numbers has enough room inside to lay down 3 queen size air beds. This family tent is one of the bigger ones we have tested at 16 x 16 feet, and there is no doubting that it has plenty of space inside. As we mentioned it can house 12 people, but with fewer numbers, it will easily house up to three queen size air beds meaning everyone gets to sleep in absolute comfort. The tent poles are all pre-attached so erecting and setting the tent up takes next to no time. Once it is up, it can be separated into three rooms, so everyone can have some privacy, or you can allocate different rooms for sleeping and storage if you prefer. 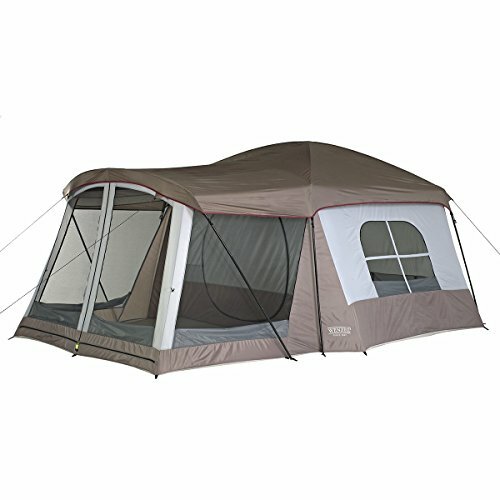 You will also enjoy the fact that the tent has no fewer than seven windows for maximum interior light during the day. They are all closable whenever you want privacy, or at night when it is time for bed. Should the weather turn foul and the rain starts pouring, the tent has plenty of protection to ensure the inside doesn’t get wet. The first of these is a rainfly, and there are also sealed seams throughout to prevent any ingress of water. This family tent has a simple design, with 2 rooms that can sleep up to a total of 8 people. It is easy to erect, and it also offers great value for the money. 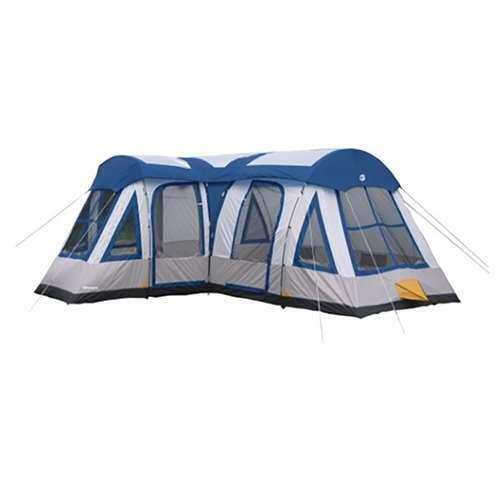 This tent is perfect if you want a family tent where the adults and the children have their own separate rooms. In one room there is enough space for 5 people to sleep so it is likely this is will be the kid’s room. The other sleeps three so no doubt mom and dad will claim this room. 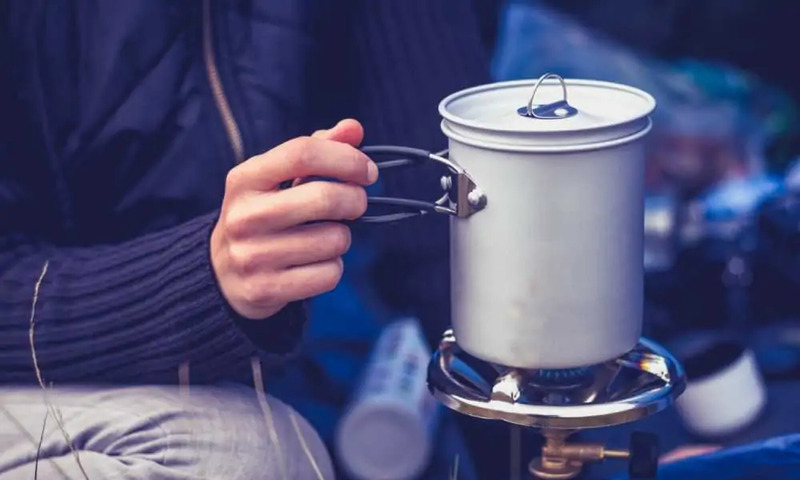 If it starts to rain when you are camping, rest assured everything inside will stay dry thanks to the rain-resistant polyester material which also has a polyurethane coating for even great moisture resistance. On the other hand, if you are experiencing great weather and want to cool the inside of the tent, you have the option to have a mesh roof. You also benefit from two mesh windows which provide even greater ventilation when it is hot outside. 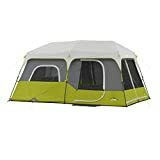 Larger families and groups will love this tent because it can easily sleep 12 people, plus it has a high center so even the tallest members of your group can stand straight inside it. If you need a large tent that can accommodate lots of family members then the Tahoe Gear tent might be the solution, as it can accommodate 12 people. Not only is it large in terms of the area inside, it also has a 7-foot center. This means everyone, including tall people within your group, can stand up and walk around inside the tent. With the tent being so big, it needs a large rainfly to protect it whenever there is a downpour, and that is exactly what you get. It covers the entire area of the tent’s roof to provide the maximum protection. On the flip side, in terms of the weather, there are also features to help keep the tent cool when it is hot and sunny. 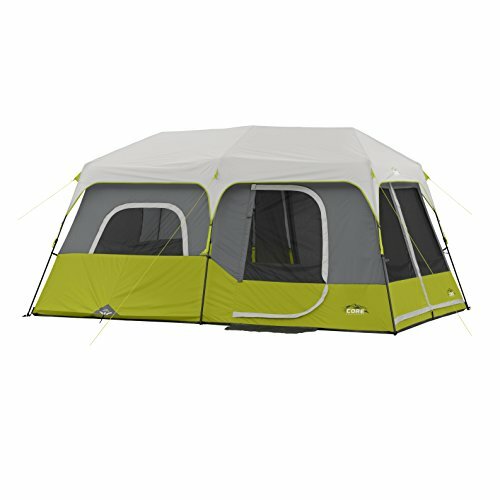 It has a solar shield to reflect sunlight on top, plus there are plenty of mesh panels throughout the tent to maximize the air circulation. 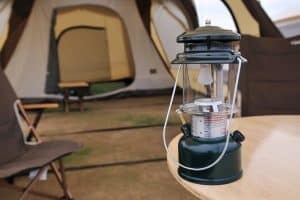 Choosing a family camping tent is probably a bit trickier than picking a smaller tent, as there are more people you need to consider in terms of whether the tent is going to be suitable. All the tents we reviewed are excellent products and we are happy to recommend them all. 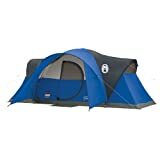 In terms of which one we believe is the best family camping tent, it was a tough decision but, in the end, we opted for the Ozark Trail 12-Person Instant Cabin Tent. This family camping tent can house up to 12 people in three separate rooms, but it also means if there are fewer than 12 there’s loads of room for everyone. In fact, it is big enough to accommodate three large air beds, so that must be a plus. There are 7 windows to let in lots of light and allow plenty of air to circulate around the tent. It will also protect you from the rain thanks to its rainfly and sealed seams.